Hey friends! 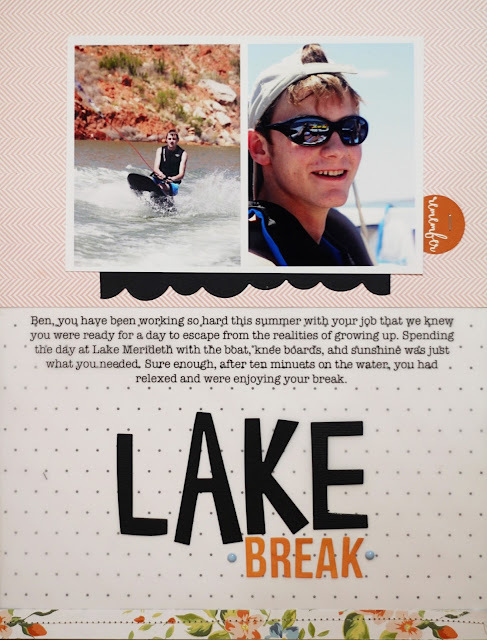 I am back today with another layout that uses Felicity Jane papers on a Masculine page. This time? I pulled in the 3 things boys of mom's never seem to get to use on their pages: pink, polka dots and - gasp- florals! And just for 'funnies' I added in vellum as well! 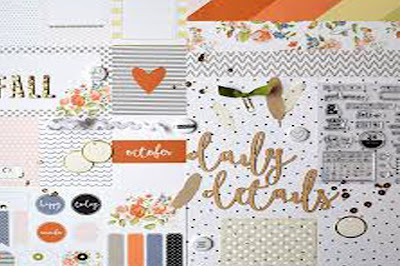 Today's layout came from papers in the That One Day kit (Oct. 2015). This is the kit that made me fall in love with Felicity Jane kits. The florals. The polka dots. The colors. Sigh. Everything I love in design was in this kit. Now, normally I don't use pink, florals, vellum and polka dots on my 17 year old son's pages. I just don't. But I loved the kit and wanted to use it, so I figured why not! To start my layout, I printed out my journaling on a piece of vellum. While the dots on the bottom half of the page are super distracting, I wanted to dull them a bit, giving my journaling a bit of a change to stand out. After that, I sewed on the floral strip at the bottom, tucked in the cardstock scallop, and then added in my title. Each kit comes wth a 6x12 sticker sheet of coordinating elements, and using the orange 'remember' circle, I stapled it on with my tiny attacher. It was the perfect little something to finish off my page. Todays tip: Who says boys can't have some pink, florals and vellum on their pages! 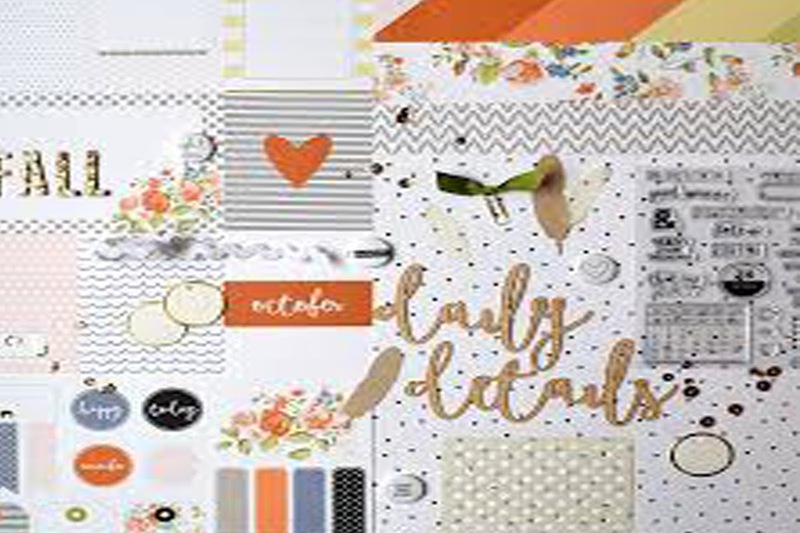 Pull out all the patterns and papers that you love, and make it work! If you missed the first layout in this series, you can check it out here. Tomorrow I will be back with yet another layout using Felicity Jane, this time using the multiple kits on the same page!